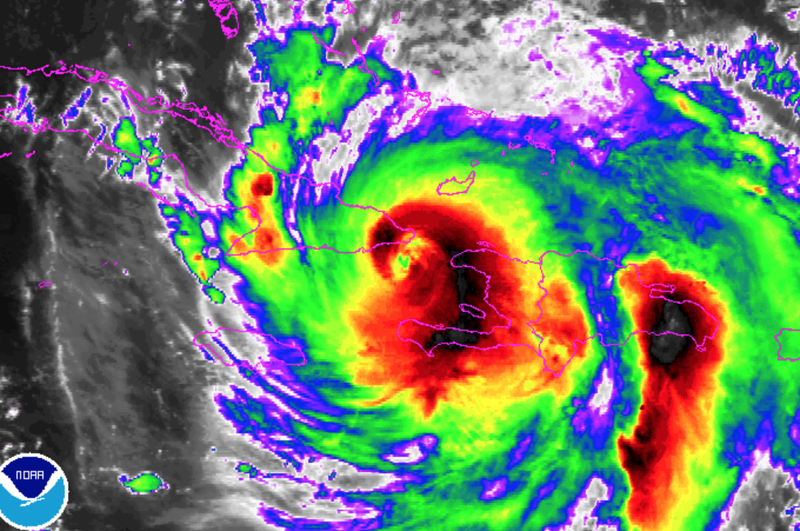 Matthew has weakened as a result of interacting with the land mass of Haiti and, now, Cuba. The eye has become relatively indistinct (see satellite image from 4:20pm, below). The central pressure as of 20 minutes ago was 949mb with maximum winds of 140mph. As the storm moves away from Cuba and over very warm water, it will likely regain some strength. My original area speculating where the center of the hurricane might make landfall is unchanged since this morning. That said, let's take a closer look at the possibilities. the eye. 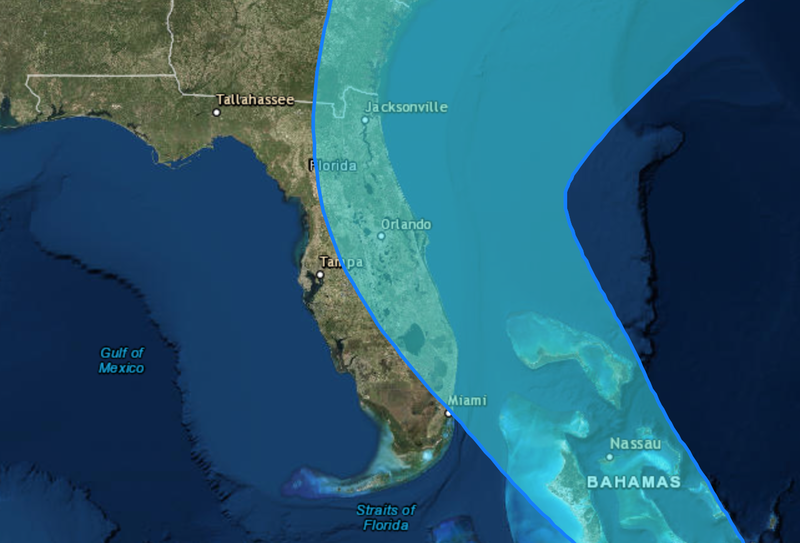 While hardly a sure thing, late data indicates there is a real chance of a landfall in Florida Friday. If so, there is a chance of wind gusts to 100 mph, a dangerous storm surge, and flooding rains. It is too soon to provide this level of detail farther north. Vote. If the stronger models are correct, power could still be out in some paces on election day. Regardless, that is one less thing you will need to do. The election will not (and shouldn't be) postponed. If you have a wood-burning fireplace and you know your chimney is clear, get wood. Keep some indoors to keep it dry during the storm. You may need it to heat your home. If you live in a 100-year flood plain (you can check at city hall or your library) or on the coast figure out your evacuation strategy now. Make your list of things you will take with you. This is the latest update on Matthew for this evening.